Product #16563 | SKU ECM44B | 0.0 (no ratings yet) Thanks for your rating! The Sony ECM-44B Lavalier Microphone makes the exceptional quality of Sony's electret condenser microphones available for budget conscious productions, and a variety of sound reinforcement requirements, such as lectures and demonstrations. Measuring only 8.5 x 14.5mm, the ECM-44B reduces the visual distraction to the audience. The ECM-44B can be depended upon for clean, bright, yet natural reproduction. 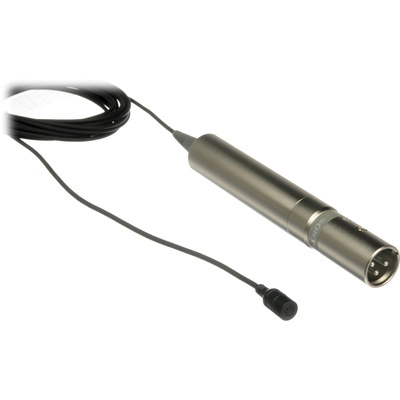 To maintain its low cost, this microphone operates on a single AA (does not accept phantom power) battery for over 5000 hours of service.